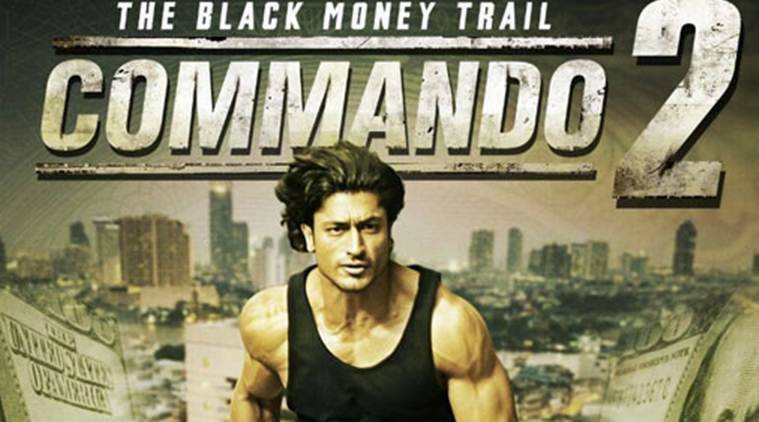 Commando 2 box office collection day 3: Vidyut Jammwal film witnessed growth on Sunday, with a collection of Rs 6.19 crore. Commando 2 box office collection day 3: Vidyut Jammwal film collected Rs 6.19 crore. Directed by Deven Bhojani, Commando 2 is an action thriller and also stars Esha Gupta, Adah Sharma and Shefali Shah. Makers have said that the highlight of the film is – Vidyut’s fascinating action sequences. Made on a small budget, Commando’s prequel Commando: A One Man Army released in 2013 was a hit. That same can’t be said about Commando 2 as of now. Makers might say that Commando 2 has some fantastic action sequences, but it seems the audience is preferring Logan over Vidyut’s film. It seems Vidyut’s film is facing some tough competition from the Hollywood film. Logan starring Hugh Jackman saw an upswing in collections. The film has got rave reviews from both critics and fans alike. Both Commando 2 and Logan have one week time before Alia Bhatt and Varun Dhawan starrer Badrinath Ki Dulhania releases in theatres on March 10. #Logan Fri 4.75 cr, Sat 5.75 cr, Sun 6.60 cr. Total: ₹ 17.10 cr. India biz… All versions… GOOD! Also Read: Commando 2 box office collection day 2: Commando 2 outruns Commando, but can Logan beat it? Meanwhile, Vidyut spoke about his role in the film. “I love doing action and I believe am very good at it. Would you mind being number one at anything you do? I don’t have a problem with an image of being the best action hero. It’s a conscious effort to do best action films.Commando has got a lot of romance also. I recently shot for Tigmanshu Dhulia’s Yaara which is a romantic drama. I am doing a lot of stuff other than action based movies. But doing ‘action’ movies are the love of my life,” said Vidyut in an interview with indianexpress.com.